Palin Bow-Out: Boon to Her Book Sales? One project that will receive a boost from Sarah Palin's plan to step down as the governor of Alaska is her much touted autobiography, for which it will provide a hotly anticipated chapter. 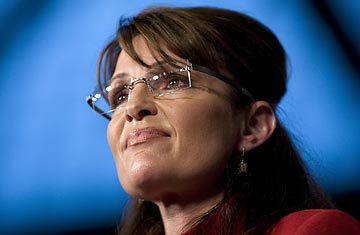 In May, HarperCollins announced that it had signed Palin to write a tell-all memoir. Unusual for a high-powered celebrity autobiography, there was no auction or bidding for the book; Palin negotiated only with HarperCollins, owned by Rupert Murdoch's News Corp., the same media company that owns the Fox News channel, which had strongly backed Palin's run for Vice President last year. While no figure was announced, the book deal was presumed to be worth millions. Though she will have a collaborator, Palin has said she will write the book herself  an opportunity to put to use her 1987 journalism degree from the University of Idaho. Palin's book is slated for release in time for Mother's Day 2010. In addition to the trade edition, there will be a special version for the Christian market under HarperCollins' Zondervan imprint. Her editor is Adam Bellow, son of the late novelist Saul Bellow. Palin and Bellow have already huddled in person, and the book is under way. The former vice-presidential candidate made it clear when the deal was announced that she was trying to tell her own story rather than have it told by others. She explained to the Associated Press, "There's been so much written about and spoken about in the mainstream media and in the anonymous blogosphere world that this will be a wonderful, refreshing chance for me to get to tell my story that a lot of people have asked about, unfiltered." It's become de rigueur for presidential candidates to produce such tomes. There's a high bar, though; Barack Obama's Dreams from my Father has been on the New York Times best-seller list for 153 weeks in paperback, after a star turn in hardcover. Still, the mystery over the motivation for Palin's sudden departure from office is sure to raise interest in her book. See 10 Sarah Palin spoofs. See "Sarah Palin: Queen of YouTube."